The Garden Plot: GMG's Friday Find: Eat Your Weeds, They're Good For You! GMG's Friday Find: Eat Your Weeds, They're Good For You! Everything is greening up here on the east coast, and yards and gardens are popping with, well, weeds! 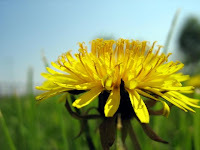 Before you go mow or spray and snuff them out for good, maybe you'll consider harvesting some of those annoying, yet edible weeds for a tasty spring salad. There are many weeds that are packed with vitamins and also taste good; however, before you pop something in your mouth check to see what you've picked is truly good for you. Wild Edibles is a great app to get you started identifying, and then munching nature's free produce. Dandelions - These yellow yummies are sprinkling most lawns right now and they'll return with gusto in late summer. Pick them while they're young in early spring for a nutritious treat. With more beta-carotene than carrots, you can add the leaves and flowers to a salad or saute them lightly and add to pasta. You can even brew the roots for a coffee substitute. Purslane - Found almost everywhere, this weed is becoming very popular in the edible landscape community, and with good reason. Purslane has 5 times the amount of Omega-3 fatty acid than spinach has, and its stems are high in Vitamin C. This succulent weeds' stem is round and smooth and trails along the ground like a vine. 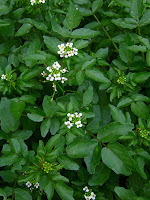 It has small, oblong green juicy leaves and it's best harvested in early morning or early evening. You can use purslane raw in a salad or saute for an interesting peppery flavor -- and don't be surprised if you see it on the menu of an upscale restaurant! 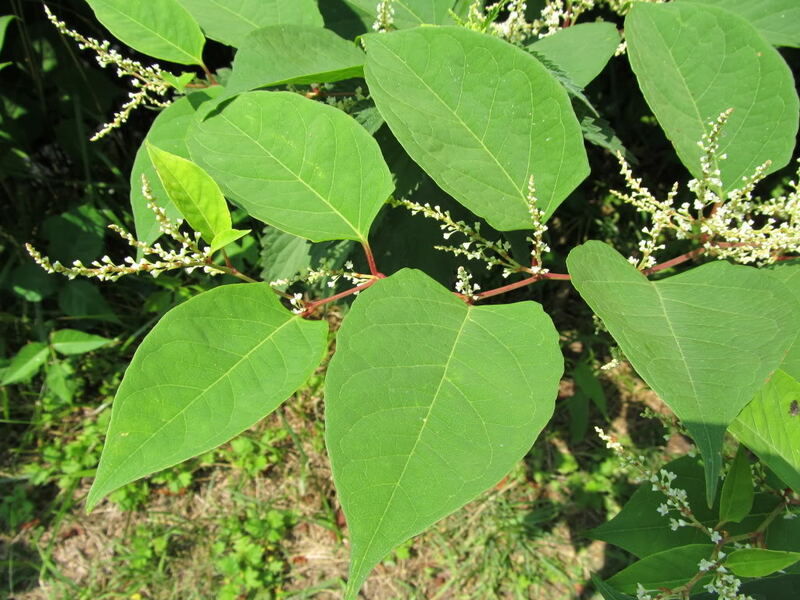 Japanese Knotweed - Early spring is the best time to harvest this weed, which is sometimes confused with bamboo. Pull this weed when it's 6-8 inches tall, before it gets to woody, and steam or simmer it for a rhubarb-like flavor. And keep pulling, this weed is very invasive. Lamb's Quarters - This weed is sometimes called wild spinach, and with good reason. It starts emerging right after the spring spinach is on its way out. Loaded with vitamin A, K and C, this weed can be delicious sauteed in olive oil with garlic, salt, pepper and a splash of lemon. As with all the weeds mentioned, rinsing the leaves thoroughly is recommended. Watercress - Spring beckons the opening of trout season in local streams, and also the emergence of watercress around these streams and riverbanks. Demanding a high dollar at grocery stores, you can pick a bunch for free and enjoy it raw in your salad, maybe alongside that trout! Kudzu - This crazy southern weed is referred to as the weed that ate the South covering over 7 million acres! This means there is an over-abundant supply available to be eaten. You can make jams and jellies but if you're a first-timer it's best to steam or boil the roots until tender. Adding soy sauce or miso gives this weed a lovely Asian cuisine flair. Kudzu has been used in Chinese medicine for centuries for treating allergies, colds, fevers and also as a digestive aid. Chop a cup of leaves and brew for 30 minutes for a healing tea. Red Clover - You see this weed all over and it has been commonly known as a folk remedy for cancer, containing photoestrogen genistein. Sprinkle red clover flowers over rice or with soy sauce, adding a punch of protein along with beneficial health aids. You can eat white clover too, but it's not as flavorful. 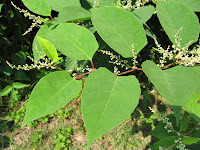 You can find many of these weeds in your backyard or growing along sidewalks and crevices from suburbia to urban streets. So don't be shy and grab a handful of weeds for a tasty, nutritious alternative to your salads and sauces. Happy foraging!